I first discovered holistic dentistry almost twenty years ago when I stumbled across a book titled, It’s All in Your Head: The Link Between Mercury Amalgams and Illness, by Dr. Hal A. Huggins. The dangers of mercury and the potential for mercury toxicity could no longer be ignored. I proceeded to have all of my mercury, or dental amalgam, fillings removed, and Ron soon followed suit. While having a mercury-free mouth is terrific, there is more to holistic dentistry which includes the biocompatibility of every material and technique implemented by your dentist. Today, Ron and I both see a local holistic dentist here in Orange County, California. Fortunately, we don’t frequent his office often thanks to a proactive and comprehensive approach to oral health. If you’d like to locate a dentist in your region, visit the Holistic Dental Association’s website. 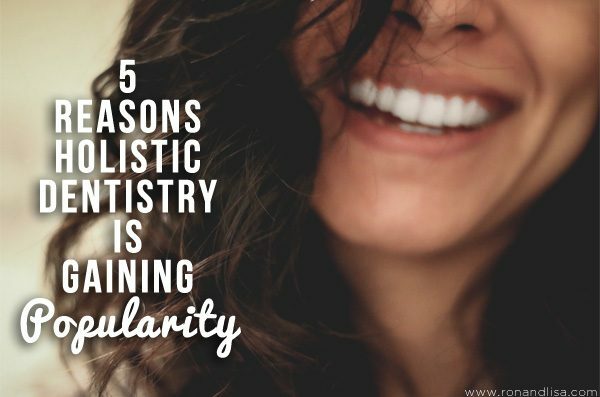 In the meantime, Dr. Nammy Patel, DDS share five reasons holistic dentistry is gaining popularity below. Rather than just a routine “drill-and-fill” for a cavity, a patient may receive a head massage, meditative advice and diet suggestions that would seem more befitting a gastroenterologist. 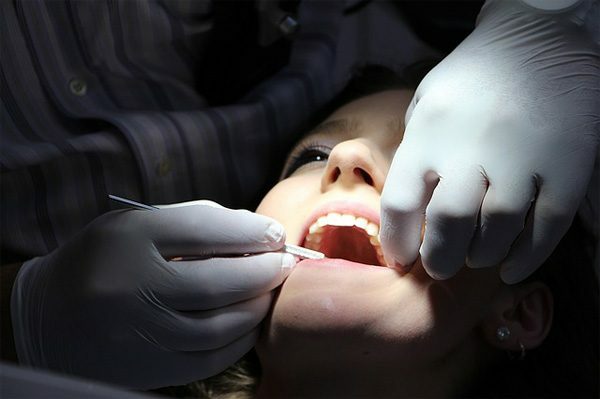 What they won’t incur are traditional amalgam fillings – about 50 percent of which are composed of mercury, which has been associated with numerous health issues and is considered an environmental hazard. This emerging branch of dentistry – which dental professionals say is largely patient-driven – is called “holistic” or “holistic biological.” Holistic dentists believe that poor oral health leads to poor physical health. They perform traditional procedures but consider the whole body – diet, lifestyle, emotional health – when treating teeth. They also focus on using what they believe to be safer materials. “It’s the opposite of common dental culture, which is simply ‘drill and fill,’ ” says Dr. Nammy Patel, DDS (www.sfgreendentist.com), author of Age With Style: Your Guide To A Youthful Smile & Healthy Living. “Holistic dentistry is looking at and addressing the underlying causes of gum disease and cavities; for example, is it your diet, hormonal changes, or acid reflux? 1. Focus on the whole body and the root cause. Holistic dentistry looks beyond symptoms to find root causes for dental issues while expanding methods of preventive care. “It’s a deeper look at a patient that offers them numerous benefits when considering diet and lifestyle and how it all connects with oral health,” Dr. Patel says. 2. Minimally-invasive treatments. “The focus is on helping patients avoid unnecessary, painful and drawn-out procedures that can hurt overall well-being,” Dr. Patel says. “That doesn’t mean sacrificing high-tech treatments for disease. Laser treatments for gum disease and cleaning are one example of minimally-invasive. The latter does a great job of destroying bacteria that are the biggest danger to your oral health. Air abrasion and ozone therapy are effective other effective minimally-invasive procedures. 4. Alternatives to root canals. Dr. Patel says holistic dentists are more likely to look at other options, such as herbs, laser therapy, or extractions. 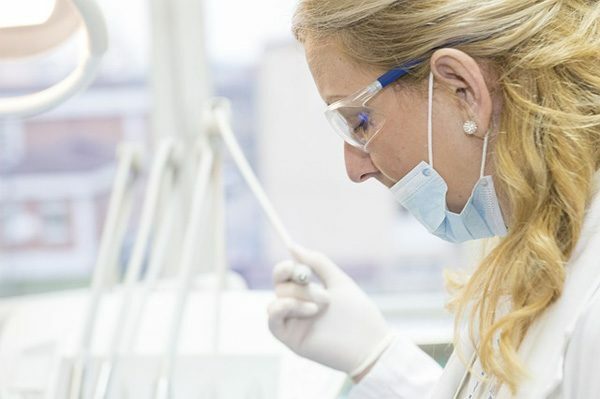 A key reason: “Research shows unless root canals are completely sterilized and cleaned of all bacteria, the bacteria can get in the bloodstream can cause chronic health complications,” Dr. Patel says. Dr. Nammy Patel, DDS (www.sfgreendentist.com) operates a practice called Green Dentistry in San Francisco and is the author of Age With Style: Your Guide To A Youthful Smile & Healthy Living. A graduate of the University of California’s School of Dentistry, she is a leader in the movement to bring environmental sanity and well-being into the dental world. Dr. Patel focuses on helping patients recognize the vital connection between dental health and whole-body health. Sounds wonderful, but I checked the listing, and the dentists are only located around super cities like Chicago. What about those of us that live in downstate Illinois for example? Central Illinois has the University of Illinois, which when combined with the two cities it sits on, we have about 200,000 people that could use such care. 90 minutes to our West is another campus sitting on two towns, Illinois State University. Maybe The association of Holistic Dentistry should consider expanding to our area. I’m sure they would be kept quit busy in Champaign-Urbana! I’m not familiar with the cities, but is this the list you found? http://holisticdental.org/find-a-holistic-dentist/?query=Illinois&by=state&sort_order=desc&search=search Sounds like a fabulous oppotunity for a holistic dentist to set up shop in your neck of the woods!